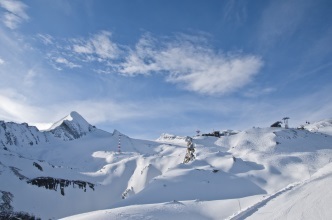 At Kitzsteinhorn (in Austria's first glacier ski area), skiers and snowboarders will find 100% snow reliability and perfectly prepared slopes, especially from fall to early summer. Als enjoy a cheerful hustle and bustel in a smashing and scenic atmosphere, with the latest hits and Après-Ski classics after a day of skiing and snowboarding. 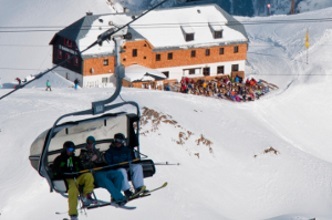 Whether it's skiing, snowboarding or freeriding - Kitzsteinhorn Glacier ski resort guarantees the finest of winter sports for everyone. With great snow parks and many freeride routes and freeride camps, you will find the perfect environment for a diverse and active day! On sunny days you will find a lots of hustle and bustle on our sunny terrace. Pleasure at its highest level. 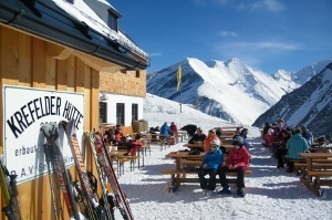 That we call "chilling" at Krefelder Hütte. Experience and enjoy this unique atmosphere - you will find further details on following websites.